Rowing is one of my favorite exercises at the gym but, I also practice it a lot throughout the summer period in the sea. The rowing workout has been a complete body workout for me as, I have been using all my major muscle groups including my arms, abdominals, my buttocks, my back and my legs. However, for a long time now I wanted to have my own rowing machine at home. 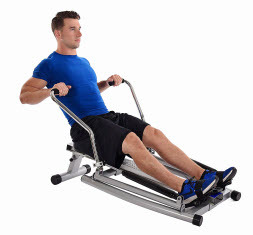 How does the “Stamina 1215 Orbital Rowing Machine” work? This rowing machine gives a very low-impact workout which makes it ideal for people who undergo physical therapy. It is also perfect for fitness training or for everyone who is trying to tighten his abdominals. With its well-built material, its comfortable seat and the rotating foot plates you can dedicate as much time as you wish. You can also arrange the resistance you feel on your legs. You enjoy a full range of motion that it mimics rowing on the water. The seat is covered with a special pad and it moves on a roller system. While you exercise your hands stay comfortable and stable at the grips which are covered with foam. There is also a monitor which displays your distance covered, your time and speed. This display shows your strokes and the calories you have burnt. 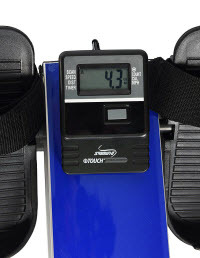 The "Stamina 1215" is ideal for limited workout space as it is compact and portable. It has a footprint of only 32.5 inches by 48 inches and weighs only 47 pounds. Without any doubt it is easy to assemble and easy to store. What others are saying? 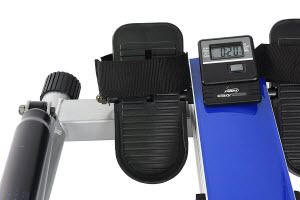 Does the “Stamina 1215 Orbital Rowing Machine” really deliver? Many reviewers agree that the “stamina 1215” is very wel-built and well-balanced since it is constructed by heavy duty materials. Mayra who emphasizes the quality of the material writes that it is “solid and stable”. Tony also agrees that in this machine “the quality is very good”. A reviewer called raymo who claims to be “very satisfied with the 1215” argues that the instructions give very good guidance and there is absolutely “no problem with the assembly”. He even finds the roller system of seat to be very well-constructed and efficient. Another reviewer named Dan who calls this machine “a great product”, finds it to be very compact, easy to set up and very smooth and comfortable when it operates. None is another reviewer, who is “very pleased with this product” because it is hard and durable. He certainly recommends it to anyone who is interested in good rowing machine. Will the "Stamina 1215” help me to lose weight and build my muscles? This rowing machine can give you an exercise which helps you lose fat fast and lowers your calories. It can also help you to build your muscles. A user of this product named K. Lewie who praises this rowing machine, explains that it can indeed offer you both a cardiovascular exercise and a bodybuilding exercise as well. This reviewer “has lost 100 pounds” just by practicing 1 hour a day. The "Stamina 1215 Orbital Rowing Machine" with its weight loss workout can offer you quick and good results. Patrick O’Connor, a user of this product, who highly recommends it to anyone “has lost over 30 pounds” and he has even put down his cholesterol levels. The biggest problem is that after some use, the seat may start to growl because the plastic rollers break down or roll unevenly. There have been cases that after a few days of use “the rollers collapsed”. There also seems to be a serious design flaw with the shocks as Stamina chose to “use plastic instead of metal”. May be this is the reason why they break so easily. This machine offers the best total body workout that any rowing machine can offer. It is also a vital exercise device for cardiovascular fitness and strength. 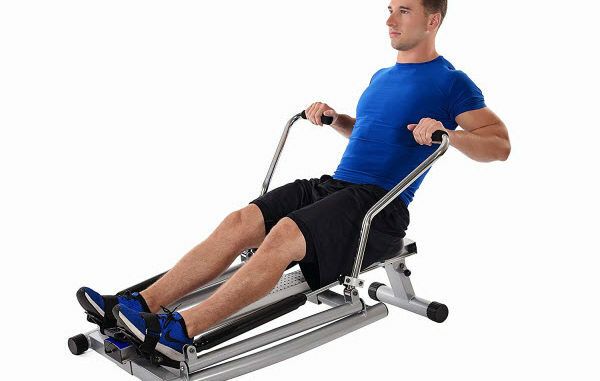 The “Stamina 1215” is the only rower that challenges you to use all major muscle groups and build a strong back as well. For the customers who target fat burning and weight loss, this rower can give you the most efficient and low-impact aerobic exercise in comparison with other rowing machines. With the only major complaint being the one about the rollers, the “Stamina 1215” got a 4.5 star rating out of 5 in the average customer review. 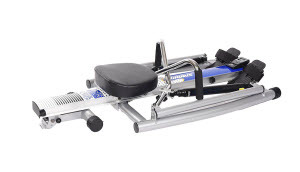 It is a stable rowing machine with smooth running and the customers really like it. Out of 19 reviews, 13 of them gave this machine a 5-star rating and 3 of them gave a 4-star rating. Where can I buy and where can I read more about this product? You can buy the “Stamina 1215” at a great price on Amazon.com. You also have the opportunity to take more information about the features and benefits of this equipment or to read additional reviews.